There are many discussions about dive tables and computers that revolve a lot about diving with computers. Keep these points and procedures in mind when you use a personal dive computer! 1. A wrist dive Computer is a sophisticated calculator with depth gauges and timers that calculate theoretical nitrogen in the body. They’re no more or less valid than dive tables and they don’t track anything physical in your body. The recommendations for conservative diving with tables apply to computer diving. Always be sure to read lots of dive Computer reviews before choosing the right one for you! – For recreational scuba divers, decompression is dangerous if done incorrectly. – Diving at an altitude greater than 400 metres/1000 feet requires adjustment. – A safety stop is a pause in your ascent between 3 and 6 metres/10 and 20 feet for three minutes or longer, this is covered during your PADI training. – Plan cold/strenuous dives with the dive table as though the depth were 4 metres/10 feet deeper than actual. With a computer, be conservative using the most appropriate decompression model for your own computer. – Always Consider a safety stop mandatory if you dive deeper than 30 metres/100 feet or reach any limit on the RDP or your dive computer as it rises and falls with each dive and surface interval. It must stay with one diver for the entire dive day – you can’t swap between dives or divers. You can’t share a computer within a buddy team either because it tracks depth quite closely. It will only be accurate for the single scuba diver using the computer. – Follow the recommendations for flying after diving conservatively, and stay up to date with the most current recommendations which tend to be 24 hours. 3. Follow the most conservative computer in the group. Surface or ascend when either computer approaches its no decompression limit. If you follow the least conservative, you’re in effect sharing that computer, which you shouldn’t do. 4. Don’t turn your computer off between dives. 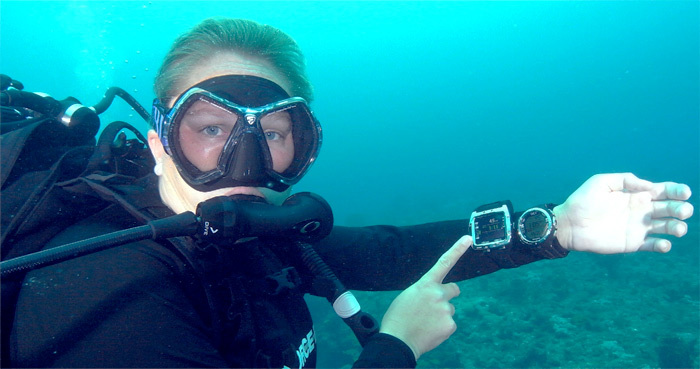 Most won’t let you, but if you take out the battery or shut the computer down, it can lose its memory of your previous dives, and your nitrogen calculations will be off, which can be very dangerous. You’ll must to allow all residual nitrogen to leave your body before resuming use of the computer or going on more dives. Your computer will shut it self off when it calculates no significant residual nitrogen remaining in your body.